As good as WordPress is “out of the box” it does lack the SEO component. This is where All-in-one-SEO-pack (and other similar plugins) come in. Basically, the plugin creates 3 new input fields for each page and each blog post: Title, Description and Keywords (and some check boxes, which can be ignored in most cases). Blog visitors will see the longer title (with the words “to Get the Most Google Juice”), however, the search engines will pick up the title tag, as to them the words “google juice” don’t mean much. The description tag is very important. 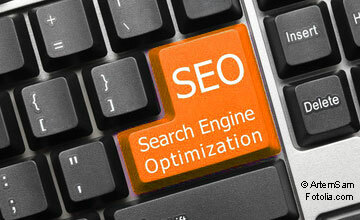 If you don’t create it yourself the search engines will show two lines of text they think are relevant. That’s why we have to enter a description (not longer than 150 characters). The Description is like a little classified ad for your whole page/post, and because the description will be displayed to people when they search, it’s our opportunity to address them (our prospects) directly. That’s why it’s a good idea to somehow include a Call-to-action in the description. The description should also include your focus keyword phrase. The keywords tag can safely be ignored, because Google ignores it, but since other search engines still read that information, it doesn’t hurt to enter it. The key here is to enter only the keyword phrases that actually appear on the page, so no keyword stuffing — this bad SEO practice is one reason Google decided to ignore this tag. The SEO plugin works well with just the default settings, and each field has its own little pop-up help info.